Kim Soo-Hyun (Chang Ki-Yong) is an elite assassin. He kills his targets and disappears. His identity like race, age or name is unknown to others. 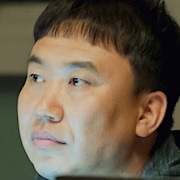 Individuals, gangs and organizations from all over the world hire Kim Soo-Hyun. Deep within his mind, he wants to have affection from people. Now, Kim Soo-Hyun has to kill to find his family. Do Hyun-Jin (Nana) graduated at the top of her class from a police university. She is an excellent detective who is also arrogant. She is usually dressed fashionably. Do Hyun-Jin comes across as cold-hearted, but she sympathizes with those in painful situations. Now, Do Hyun-Jin chases after Kim Soo-Hyun to reveal a mystery related to her lover's death. "Kill It" takes over the OCN Sat. & Sun. 22:20 time slot previously occupied by "Trap" and followed by "Voice 3" May, 2019. Early working title was "Blue Eyes." 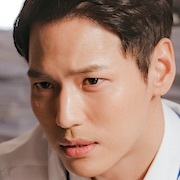 June Apr 16 2019 8:22 pm I really love how intense every episodes of this drama. Jang Ki-Yong and Nana’s chemistry here is ☺️??. Can’t wait for the next episodes until the last. ? Lez Apr 15 2019 9:53 pm I really like the attractive 2 main leads I don’t know if there’s going to be a love thing between them at all cuz there’re only 4 more episodes. It seem so rush! Why only 12 eps? WHY?! 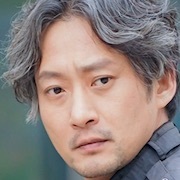 LoneGunMan Apr 15 2019 11:33 am I don't think Kim Soo-Hyun is going to survive this show. Like the old tv show Don't Look Back : Legend of Orpheus, hero has done a lot bad things including assassinating the politician. I think he is going to be killed. Aseeyaa Apr 15 2019 8:27 am I started watching bc of Nana. I like her especially in The Good Wife. The first few episodes was cringey, there are way too many names i can't keep up. But i still wanna finish it. I'm on episode 7 already. I just wish there will be more of them. liza Apr 14 2019 10:00 pm i started watching because im a fan of Ki Yong but the main female character annoyed me so much, i had to stop watching 2 episodes in. typical “i know it all” character, seriously couldnt stand her. shes not that good of an actress either... sorta awkward imo. how was she casted as the main lead..? first episode felt kinda rushed too, they threw so much information at us and then switched attention to the two main lead’s dry “romance”.. dissapointed.. i’ll tune in again when it ends, to see everyones thoughts and maybe rewatch it if it picked up. otherwise, its a pass from me..
sera Apr 13 2019 9:24 pm So the ML is all action and no smarts. Kind of frustrating. Shantel Apr 10 2019 12:55 am Hoping for a happy ending. Jebbal! Got7Lorn Apr 09 2019 1:19 pm @Flambergh I agree with you..I'm so confused, they mentioned so many names I don't know who is who,who is JKY's enemy and who is his ally.. The storyline is getting complicated when its in a half episode already.. while it made me confused I would say it is a good drama. If you enjoy watching action dramas well you would absolutely love this! Best of JKY drama..his role really fits him. Don't miss out! So, I will start again at episode 1 to make me understand more of the characters name. 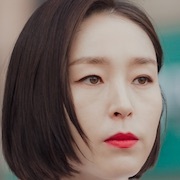 Unnie Apr 09 2019 6:40 am Why do I feel like Kill It wll have a sad ending like Black..you know how OCN has the tendency to have unexpected storyline and ending. 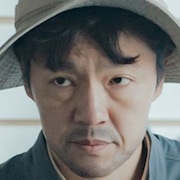 hiroku Apr 08 2019 3:53 pm The main actor is too stiff, expressionless and lacks chemistry with the lead actress (which is gorgeous). I would say he was miscasted for the role, but I also suspect that it's a problem of the script and director. Kin Apr 08 2019 2:12 am to sf, 'Kill it' about revenge from the Avengers. a young killer want to find out his past, so He killed all people who is connected to his past, He knew from Pavel. He want to know the true, who is his family and why from the pictures that He had from Pavel. 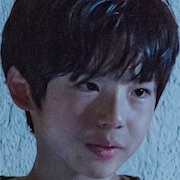 It was connected to experiment on An orphanage, I think, Soo-Hyun is number 88. This drama was just like 'HitMan' agent 47 and Jason Bourne. sf Apr 07 2019 6:33 am What is it about in this drama? 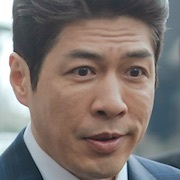 Many viewers said it is hard to follow the drama because of so many names. To me, besides this motive it is hard to follow because I didn't catch the idea. What it's going on in this drama? Ferodith Apr 07 2019 4:58 am I watch this drama because I like the plot...Never knew the 2 leads before...But now I fall in love with them?? Yes Apr 05 2019 7:54 pm They'll combined Killit X The guest universe???? ?, Holy Sh*ttt...! !, Two of my fav drama in one universe..
Christina Apr 05 2019 12:06 pm Watching this for Nana!! Ana Narvajaa Apr 01 2019 9:47 am Wow! This drama is daebak! I love the plot and everything. I also like the both lead actors, they look good together.. I hope their is a happy ending. ? Shantel Apr 01 2019 3:18 am I hate the ratings. This is a really awesome action series but some viewers want those cringy and overacting love stories duh!! Guiltypleasure Mar 31 2019 11:03 pm The female lead so beautiful. She reminds me of Kim Tae Hee. Charlotte Mar 29 2019 10:04 am The first two episode is really interesting. Can’t wait for the next episode. By the way, the episode rate timeline. It’s suppose to be 2019 not 2018. Kill it Mar 28 2019 9:50 am It started off really strong. Seems like it has a unique plot. The characters are really interesting. Hope it gets the recognition it deserves and doesn't stay underrated. 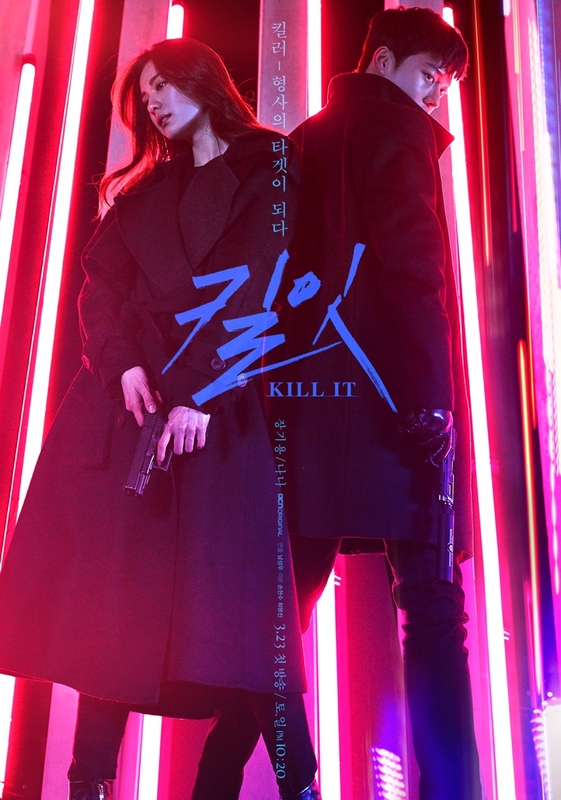 Kill it Mar 28 2019 9:45 am This deserves more praise, hope it gets more recognition. Great drama so far, anticipating for the rest! Why are good dramas always underrated? It seems to have a really unique plot. Kill it Mar 28 2019 9:19 am Great plot and definitely underrated. Such stories need more recognition, they are very rare. Laura Mar 28 2019 7:19 am Wowow. I must say Robin look different in here. Un modeste admirateur Mar 27 2019 11:11 pm I've struggled to find something to watch, so I am extremely glad I stumbled on "Kill It". It's the most polished K-drama I've seen so far in 2019. 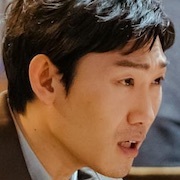 Chang Ki-Yong plays a hitman with a soft heart, who is protecting an orphan teenager. His character reminds me of that of Léon in the 1994 movie "The Professional". But the storyline here is much more elaborate, and features a solitary police woman as a second lead, played by Nana. This beautiful actress, previously unknown to me, is a true revelation and is loaded with natural talent. I just hope she will continue to cultivate this talent in her future projects, and not let it slowly go to waste, like it often happens. Reviewer Mar 27 2019 2:35 pm This drama looks promising. Just finished ep1 and ep 2 so far. It's a bit boring for the first episode commonly in OCN dramas, but I know the story will develop later because OCN never disappoint me. Anonymous Mar 27 2019 8:59 am Wait i just noticed this drama will be only 12 episodes? Omg. I just watched the 1st and scond ep, i think it's okay but it kinds of a bit boring. But then i hope the next ep will be more interesting. Bcs i watch this drama just for jky. Also I gotta agree - Nana is gorgeous! Never watched her in dramas/movies/kpop, but here she's killin' it! Her acting is pretty good too so let's hope it stays that way! urmom Mar 26 2019 1:19 am Nana is doing pretty well then i expected considering this is her first huge lead role. Sakura Mar 25 2019 7:50 pm I just can't emphasize enough how beautiful Nana is in every scene. This is actually the first time I've seen her in a kdrama and I must say she is one of those eye candies for a female lead. She is just so pretty. Inoy Mar 25 2019 11:30 am Sorry for saying this .. but OCN always has a good story for their drama but why the director they are has been choosing always making me disappointed ! I mean the plots become so confused , episode per episode doesn't wrap up well and how they shoot per episode didn't make us curious or excited, this is just only 2 episode now but i'am starting feel bored .. omg i really upset because honestly i am really² waiting for this drama especially Jang ki Young !! Please OCN ? Lit Mar 25 2019 5:00 am I wish the next episode will be more interesting! Bcs i feel like really blank while watched the two episode. Or mybe it was just the beginning. 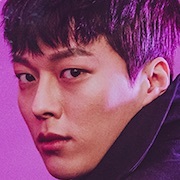 Fyi, i watch this drama for my only jang ki yong. I rlly like his acting. So i hope this drama will becomes better inthe next episode. Can't wait! sf Mar 25 2019 2:04 am The main actress and the teenager girl are annoying as hell. Wherever you look you see them. Around the corner, sitting on the stairs, coming in, getting out, on the street, always next to the main actor, without a plausible reason. The teenager should be at school and the cop at her police station or on the field. There were a lot of sequences without a real meaning, only to fill the episode time. Something is wrong with the story and these two characters. KI Mar 24 2019 8:57 am Good start! Thrilled to see what's in store for this drama. Charming characters, I must say. tim Mar 23 2019 9:54 pm hard to say, this is just the 1st episode so will see if this one is a hit or a miss, but this looks promising. 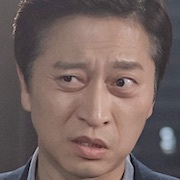 Oli Mar 23 2019 6:04 am OCN dramas are so good! They are the best so I’m always excited to watch their new projects. I don’t care about their visuals, not everything is about physical appearance but koreaboos nowadays... anyway I can’t wait! Shantel Mar 22 2019 11:30 pm This kind of series suits him so much. His appearance is for action not just for some romantic series. Keep it up Ki-yong oppa. Chrystivani Mar 16 2019 6:53 am Good decision Nana, leave previous drama for this.. Park Hae Jin Your Turn..
pochap Mar 14 2019 2:05 am OMG!!! Chang Ki-Yong here you go again!! you will make us go crazy again!! so excited with this drama!! 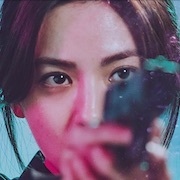 drama hoe Mar 04 2019 12:46 am The amount of visuals these leads have are making this drama more EXCITING :,)) Nana is so beautiful, she has to be the prettiest K-Pop idol ever. Hana Mar 02 2019 2:57 am Just the amount of visuals is killing me hahahaha Cant Wait For Jang Ki Young Thoo!!! loved come and hug me!!! Yoa Mar 01 2019 3:36 pm They should switch the leads names , i mean Nana name in tthe drama is more suitable for a man ,:/ meanwhile kiyoung name " kim soohyun "is a name for men and women. Chaki ya Feb 24 2019 8:07 am Waiting for this. The story looks good and the actors are awesome. yee ya Feb 13 2019 6:26 pm Hmm, i think I love his voice. mo2um Jan 12 2019 10:30 am this will be visually pleasing.. I love both leads! Jenkai Jan 11 2019 8:57 am Woow the amount of visual the main coulpe has is amazing cant wait for Nanas comeback???? Yeonan Jan 11 2019 12:54 am Waaah.. Can't wait !!! Iiikkll Jan 09 2019 9:45 pm Whoa OCN and also jang kiyong. I think im gonna put this drma on my list. Maninder Kaur Jan 08 2019 1:30 pm Agree with everyone here who have commented! What an amazing storyline is in making of the drama! And I'm sensing heartbreaks but i hope my hunch don't get true! Because I'm really looking forward this drama and I want good ending as well like come and hug me. Kausarshaikh Jan 08 2019 4:51 am This is gonna be really good..cause im waiting for this daebak drama..this plot is very interesting n i love both actors. myxblush Jan 07 2019 9:13 am Omg! Totally gonna ship them. They are gonna be the hot couple! Binger Jan 07 2019 4:08 am At last Ki Yong get the recognition he deserves. His acting in Come and Hug Me is superb!!! I see the next Hyun Bin in the making ? japag Jan 07 2019 3:15 am aesthetic couple!